Summertime has rather whooped me this year and time is racing by. But I don't want to forget to note the blessings along the way. #1 - My friend's baby who was having some health issues has been "cleared" by the doctor to some extent. Her issues have been explained and things are lookin' pretty good! Praising God for health, healing, preservation of our baby girl friend! #5 - Learning how to be a better homemaker. I've been working on/making our own bread, granola and now -- yogurt! My Bread. Be Impressed. Please. It took me a long time to figure it out! It's very fun taking responsibility and dominion of the household. It's also taking up a lot more of my time - which is already limited. But that's ok. Life is changing, we're all growing and learning new things around here. Exactly the way we're supposed to! And now - to the weekend! Enjoy! Bread looks very yummy indeed. Kudos on the bread baking! Life with three is . . .interesting, isn't it!!? Have a great weekend! Glad your baby’s friend is improving! Lots of babies in your life. How fun. I am definitely impressed by your bread! It looks so yummy and I’m sure it tastes great too. I'm so glad your friend's baby is doing better! She's been in my thoughts and prayers. I'll be looking forward to seeing what you have to say about The Help. I've heard both book and movie being lauded all over the blogosphere. I never did figure out bread -- and I'm a Home Ec major, lol! Mine always ended up too heavy and dense. I didn't experiment much with it after early marriage -- it was disheartening to go to all that work and then be disappointed in the outcome. So glad your friend's baby is doing better! I've flown with babies before -- no problem (my husband's parents were 2,000 miles away -- no way we could have driven that far with just two drivers in the time we had). I thought they were much easier to handle as babies than as toddlers and preschoolers. I don't think I have ever met someone I knew only through blogging, but I have met a couple of people I knew from other online venues, and there are more I'd love to meet. And one college friend and I rediscovered each other online and chatted when our school played her school in basketball. Fun! i am impressed with your bread! It looks yummy. sounds like you've had a wonderful week. it's not easy traveling with kids but with a little planning it can be done. I look forward to your opinion on The Help. I read the book and will see the movie next week. The one thing that stood out to me is that this type of behaviour happened so recently in our history. I am impressed with your devotion to homemaking. I will have to look on your blog to see if you've posted your granola recipe. Someday I hope to master bread as well. I'm totally impressed with your bread. Glad your friend's baby is healing and things are looking up. I love bloggy meetings. Hope you have a good weekend. 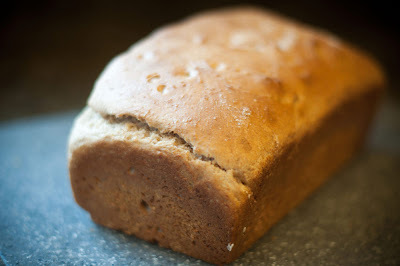 Being a veteran bread baker, yes, I am impressed with your bread! Way to go! Isn't it fun to meet blogger friends face to face? You feel like you already know them. I am definitely impressed by your bread. It looks great! So many meetings and greetings in your life this week. That's great! I AM impressed with the bread. Mine is always hit or miss. Our summer was exhausting as well. I'm sooo glad that fall is on its way and we're back to a routine. It makes all the difference, the changes of the seasons. Meeting other bloggers in real life is sooo much fun. It's like reuniting with a long lost friend. I AM impressed!! That's a gorgeous looking loaf :) Congratulations! Let me know how the yogurt turns out - I've tried it before and didn't like the result. SO I'm on the lookout for a good recipe. Glad to hear your friend's baby is doing well. I'm glad the baby is doing well. And your bread looks great! You all are too kind about the bread. ;) Thank you! Baby doing well and making bread. Two great blessings! 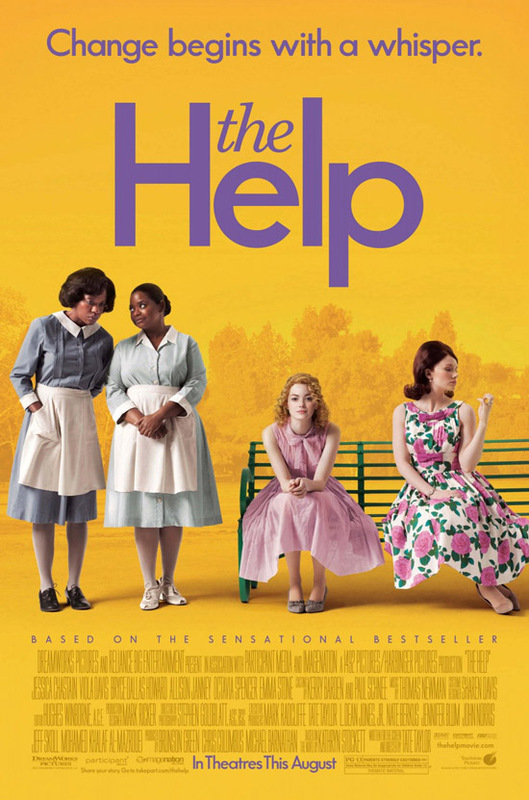 I also loved The Help--both versions. Please share more about the yogurt. It's been on my list for awhile to try making my own! But it was very fun to finally meet you! :) Thanks for being willing to get up so early!